Richard Maxwell was born in London in 1929. He started as a child actor (aged 3) and used his mother’s maiden name, Richard Bryce. He appeared in several movies but in his early teens started working behind the scenes as a theatre call boy. That is the person who knocks on the actor’s door and says “You are on in five minutes...” Not content to stay a stage hand he trained as a singer and got his big break with the Ted Heath Band. A name change was in order and Richard became Dickie, and 'Valentine' was very much in keeping with his pretty boy image. Dickie Valentine was a talented and popular entertainer who was able to lend his vocal style and provide impressions of other famous singers. However, he was much more than just an impressionist and had great success with his own brand of romantic ballads chalking up two #1 hits during the mid-1950s. Dickie Valentine traveled extensively with the Ted Heath Band including Australia. The Ted Heath band was the most famous British band of the post World War Two era and the band leader created stars by grooming his musicians and singers in stage presence and dress and commissioning special arrangements in which to feature them. The three most famous wobblers in the Ted Heath Band singers were Dickie Valentine, Lita Roza (Allentown Jail) and Dennis Lotis (South African singer and actor). In the mid fifties the band toured Australia and New Zealand and became the only British band to achieve any significant recognition outside the UK. Dickie saw his opportunity and took the brave initiative to leave the band to pursue a solo career. In the early fifties prior to the Rock’n’ Roll influx, UK singers spent much of their recording lives covering US hit. There were two main female artists contemporary with Dickie Valentine. Alma Cogan (1932-1966) concentrated on up-beat ballads and novelty songs aimed specifically for the younger audiences. She liked to giggle in the middle of her songs and this became an endearing quality of her recording which distinguished her from her rivals. The other had been a child actor called Petula Clarke or “Britain’s Shirley Temple”. She became known for her upbeat popular hits in the 50s and 60s and was the Kylie Monogue of her day selling 70 million recordings worldwide. Petula is the most successful British solo recording artist to date. She worked with Tony Hatch in the 60s and between them notched up several international hits including Downtown. Petula continued to enjoy celebrity and still tours. She has visited Australia many times. Dickie worked with Petula on the film version of 6.5 Special (aka Calling all cats). This was the call which preceded the theme tune to the BBC program. 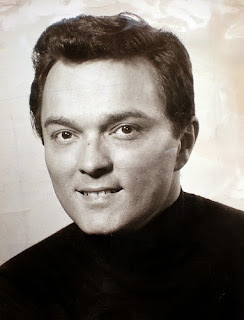 Dickie played himself in the 1958 film and gave the young Petula Clarke assistance in her desire to become a pop singer. All very innocent then and I would hate to see a 2015 version of the real thing. As the sixties approached and Dickie was now in his thirties, he transferred media to became a popular TV host with two TV series “Calling Dickie Valentine" (1961) with Jack Parnell Dance Band ( Parnell also started in the Ted Health Band), and The Dickie Valentine Show" (1966-67) with Pans People (from Top of the Pops). Valentine carried on recording career and worked on the cabaret circuit until his tragic demise in a car crash on 6 May 1971. I have truly enjoyed browsing your blog posts. After all I will be subscribing to your feed and I hope you write again soon! at this web page are truly awesome for people knowledge, well, keep up the nice work fellows.